Alone in the world and struggling to make ends meet, Texas war widow Sarah Winborne will do anything to keep her two small children safe and her hard-won ranch from going under. She hasn't fought for so long to lose everything, and if that means marrying a stranger to protect her family's future, then so be it. She never expected anything but a business arrangement, but something about Benton Wheeler's broad shoulders and kind eyes awakens emotions she'd long since buried. He makes her feel beautiful. He makes her feel desired. He makes her feel like a woman again. 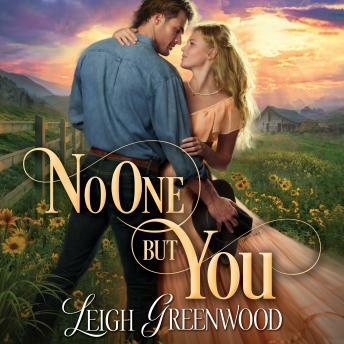 And even though their marriage was never intended to be more than a matter of convenience, as Benton stands between her small family and the wild and dangerous West, Sarah may just realize that the cowboy she married is the love she never dreamed she would find.